Los Angeles, City of Angels. Maria Grazia Chiuri’s debut cruise show landed itself in the City of Stars but not in the traditional way. There was no recreation of the fabled La La Land or presentation in one of the city’s mightily-architected landmarks, but a défile in the Upper Las Virgenes Canyon Open Space Preserve in Calabasas—home of the Kardashians. The location of this show had been marked before Chiuri’s arrival but she interpreted the locale nonetheless. She was interested in the connotations of Los Angeles: health and wellbeing; peace, love and positivity; Old Hollywood film productions (the mountaintop setting was also used in Little House on the Prairie and Gone with the Wind). The American Southwest, imagery of prairies, the revered artist Georgia O Keeffe appeared elsewhere on her mood board. 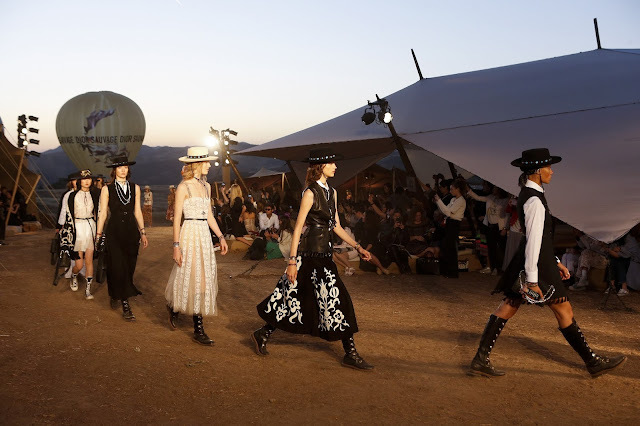 There was undoubted appropriation of the classic fashion trope “bohemia”, in the show. (Many read this as cultural appropriation; others were quick to point out there was no insistence on exploiting indigenous culture.) It was reminiscent of the garments popularised and fetishised by revellers in Indio at Coachella. 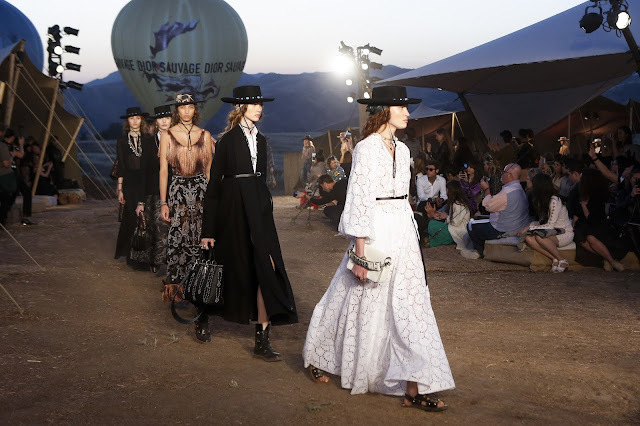 The everlasting allure of the desert and the barren terrains of America, the way it has been painted by film and fashion signals unforgettable symbolism that permeated the design process: skull and bones; rattlesnakes; fringing; cowboy boots and hats. 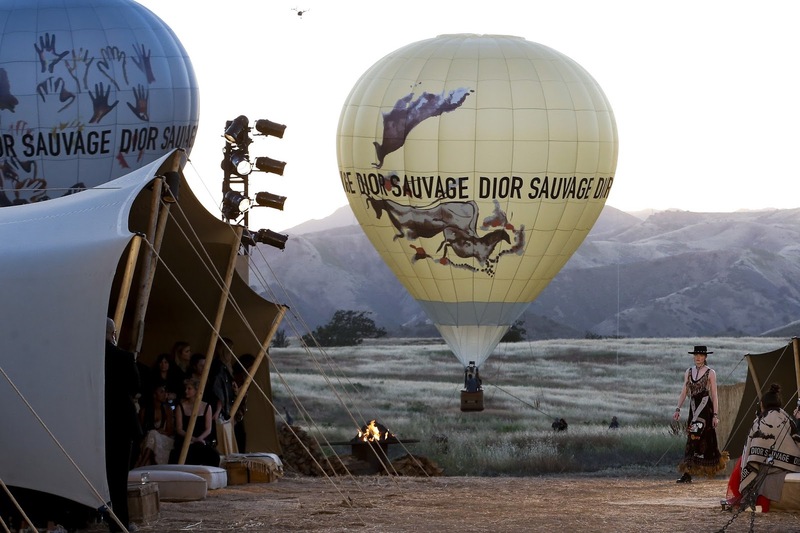 It dipped into what Ralph Lauren does best, albeit with Dior-signature shapes. There weren’t many reinventions of Dior classics here, however. Perhaps the purpose was to sell the Sauvage perfume—its branding saturated the venue—and the clothes were the backdrop? The average luxury fashion consumer’s age is 53. High fashion often contradicts this with pitiful pandering to youths, through perfume sales and celebrity endorsements. For once, the collection reflected the eventual consumer… but that’s not to say it was positive. The clothes were rather frumpy, unflattering and unmistakably Valentino (pre- and post-her tenure with creative director Pier Paolo Piccioli). 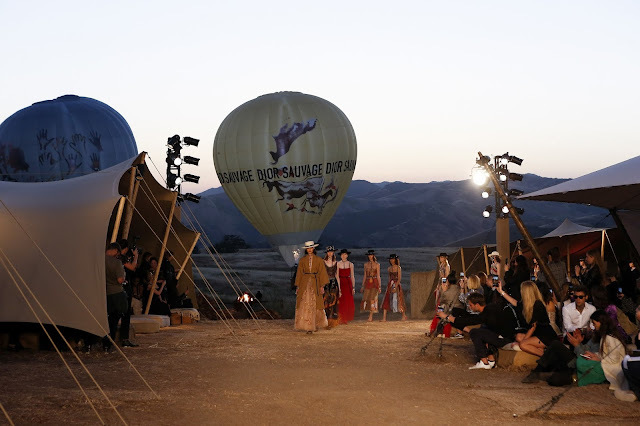 They were awfully drab and not even the illustrative animal embroideries and embellishments could save the collection. That isn’t to mention the borrowing of elements from Hedi Slimane’s LA-obsessed oeuvre that marked his final days at Saint Laurent. Chiuri’s Valentino efforts, comparatively, were spellbinding, bewitchingly and breathtakingly beautiful. They were unmatched in their clarity of expression, serenity and delicate craftsmanship. Dior has proved a challenging acclimatisation. One gathers that aside from attaching “woman empowerment” to everything she does—often without sufficient referencing in the actual clothes—there isn’t much to see here. (I am not discounting the O’Keeffe reference; her work has long been read as feminist art, much to her dismay.) 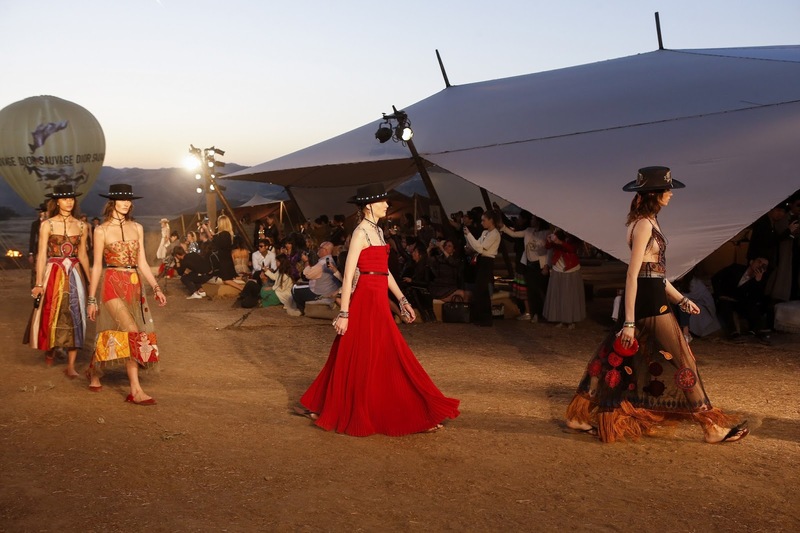 The clothes will remain the same, it seems: Valentino-esqe, derivative and uninspired. She has to distinguish product from high-calibre fashion design; she was hired to do so.